Some of Ottawa's lion dancers have a packed schedule over the next two weeks as they perform to mark the year of the pig. Tony Fan pulls a giant orange and silver lion costume over his head. With the dancer performing the tail already in place beneath the suit, it's time for the lion to begin to dance to a chorus of drums, cymbals and gongs. "I'm very proud to be in this tradition and retain this culture," said Fan, 57, who has been lion dancing for the past 35 years. Fan is also the trainer and coordinator for Ottawa's Success Dragon Lion Dance Troupe, a group with a packed schedule over the next two weeks. Tuesday marks the beginning of the Lunar New Year, ushering in the year of the pig in certain cultures. But no celebration is complete without the lion dance. "It's like going through Christmas without Santa Claus and the reindeer," Fan said. Fan explains that the lion dance dates back to a Chinese legend that tells of a time when a beast which looked like a lion would arrive in a village, scaring people and causing famine. The villagers responded by dressing up in colourful costumes and using the sound of stomping feet and drums to chase the beast away. Over time, these costumes came to resemble a lion — and the lion dance came to signify luck and prosperity rather than fear and famine. It's now part of many Chinese New Year celebrations, where spectators often feed the lion red envelopes with money inside. When Fan and his troupe perform, they use special, coordinated steps to mimic the movements of a lion, and convey a range of emotions — from happiness to sorrow to hunger. The dancer wearing the lion's head leads the dance movements and controls its facial expressions by blinking its eyes and moving its mouth. "You just have to put yourself into the beast," Fan said. "You have to really transform your emotions so you are becoming one object together." Fan explained that most dance performances last up to 15 minutes, though at parades the lion dancers move for up to one hour. "It's very hard work because you have to move every two seconds," Fan said. "It's good for physical endurance." Fan's dance troupe has about 15 members, most of them older than 25 years old. He says it's a challenge to make sure the younger generation learns the tradition. The troupe makes a point of performing at schools and daycares in Ottawa. Fan also brought some miniature lions that children can use for practice. 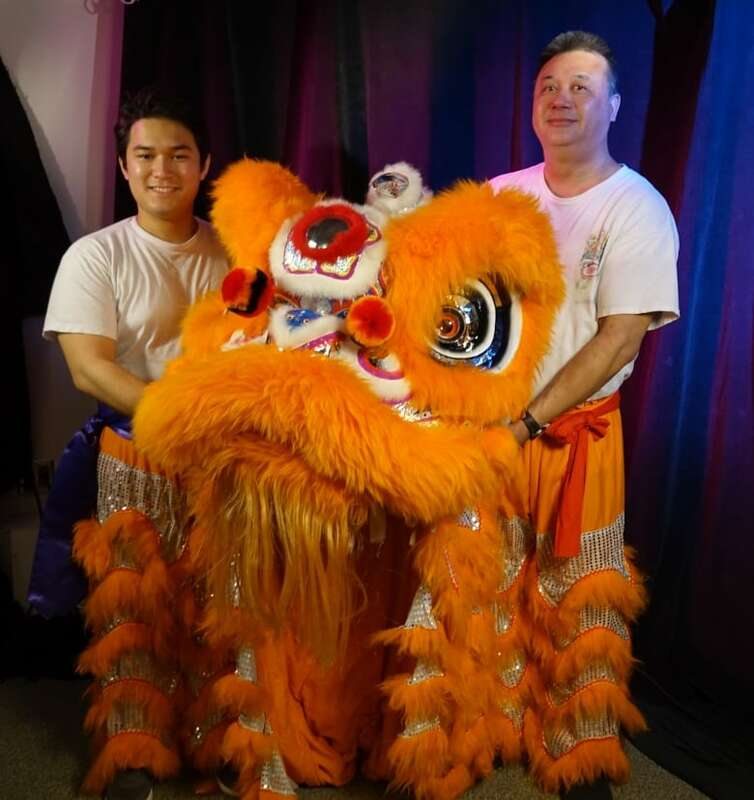 When Alexander Pelletier, 23, started lion dancing, he was eleven years old and learned alongside his dad. Pelletier is now completing a masters program in biochemistry, but continues to find time to dance. "I remember how much lion dance touched me as a kid, and it would be a shame to lose that tradition," Pelletier said. He also explained a nice bonus — the people inside the lion costume get to keep those red envelopes of cash. "I do it for the love of the craft, and the money is nice, too."